WHAT/WHEN: The Fresh Market is taking the guesswork out of preparing a deliciously different meal each week with its “Little Big Meal” program. 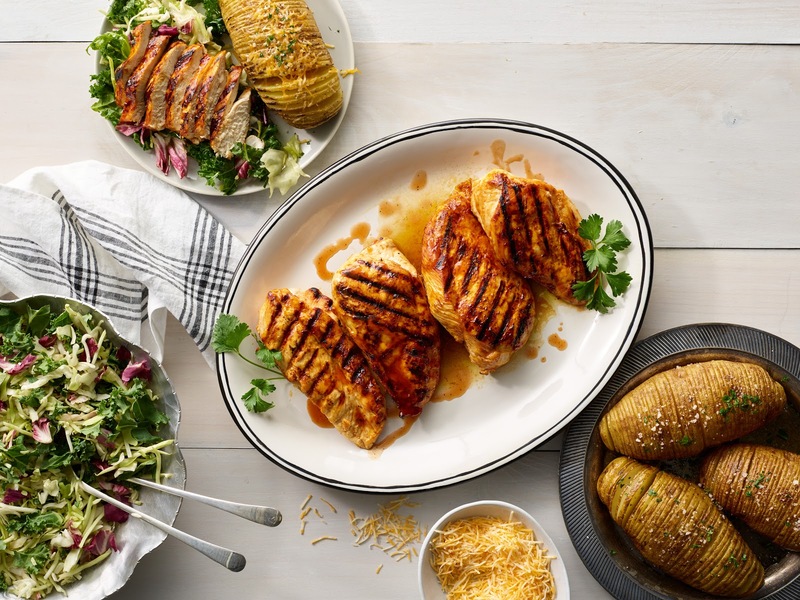 Available at all of the grocer’s 176 stores nationwide, the grab-and-go meals offer satisfying solutions to the perennial “What’s for dinner?” question. Guests may simply stop by the “Little Big Meal” display every day of the week to choose from a variety of fresh ingredient options to help make every day eating nothing short of extraordinary. The Fresh Market’s Burger Little Big Meal is packed with the freshest ingredients to craft juicy burgers on gourmet brioche buns! 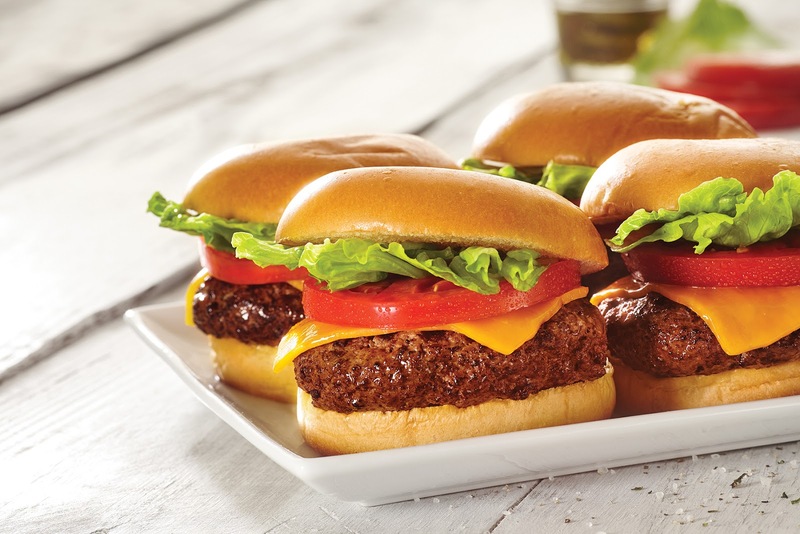 This meal comes with four hearty burgers made with beef ground fresh daily, and each kit is pre-packaged and ready to cook on the grill. Guests can choose from a variety of burger flavors including bacon cheddar, bleu cheese or portobello gouda. Top the burgers with over eight savory options of sliced cheese, and complete the meal with crisp corn and either macaroni or potato salad. Guests will also have the choice between delectable mini chocolate chunk cookies or mini oatmeal raisin cookies for dessert. It’s time to fire up the grill! The Fresh Market’s Grilling Little Big Meal will help guests get into the summer spirit with hand-picked, fresh ingredients to grill pork or chicken skewers with the ripest vegetables of the season. Each kit includes a four pack of freshly prepared skewers from the meat department with chicken, pork or a combination of the two. Guests can marinate or top the skewers with The Fresh Market’s thick and sweet or rich and smoky BBQ sauce. A vegetable kit overflowing with portobello mushrooms, a variety of peppers, zucchini, yellow squash, red onion and asparagus will bring flavors fresh from the farm to the table. The meal also includes a side of spicy angel hair pasta or bowtie pesto farfalle from the deli department. A signature peach bar cake or chocolate decadence bar cake completes the meal and will satisfy any sweet tooth. 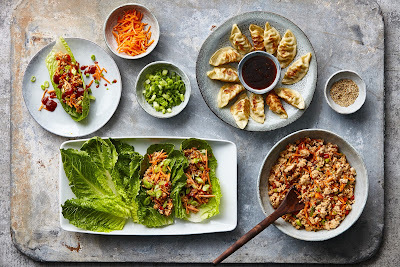 Craft a tasty dinner for four with The Fresh Market’s Lettuce Wrap Little Big Meal! Guests can choose between ground pork, chicken or tofu as the base for this Asian-inspired, crisp and crunchy wrap. 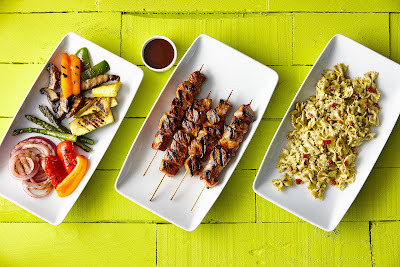 Add a pop of flavor with a choice of three gluten-free sauces, including teriyaki, sesame garlic or Thai peanut. A vegetable kit including shredded carrots, diced shitake mushrooms, chopped green onions and fresh minced garlic and ginger completes the filling. Guests can assemble this meal with ease using the package of romaine hearts to create a crunchy wrap. The meal also includes vegetable spring rolls, pork pot stickers or chicken pot stickers as a side. A slice of pound cake makes the perfect ending to this meal – guests can select from eight varieties including cranberry orange, raspberry peach or caramel apple. Enjoy the best summer has to offer with The Fresh Market’s Chicken Al Fresco Little Big Meal! Guests can choose between four varieties of freshly prepared chicken cutlets including all natural, Thomas sauce marinade, teriyaki marinade or BBQ marinade. The meal includes four sweet or russet potatoes and a choice from seven varieties of gourmet salad kits, including garden medley and strawberry harvest. To compliment both the salad and potatoes, guests can choose from nine different shredded cheeses to sprinkle as a garnish. The Fresh Market’s bakery offers a delightful treat to finish the meal with eight crispie cookie options including salted caramel, brownie and cranberry almond. 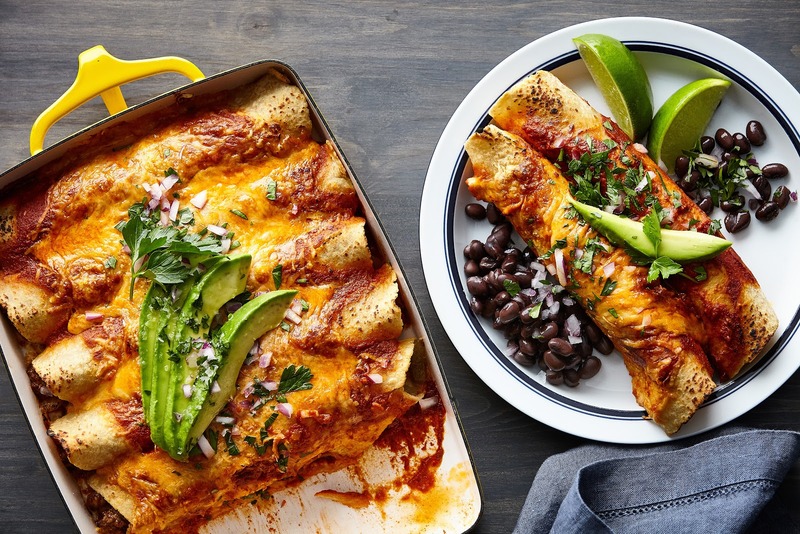 For a fiesta of flavors, try The Fresh Market’s Easy Enchiladas Little Big Meal! Guests can choose from either lean ground sirloin or chicken breast strips. The meal also comes with a southwest veggie kit filled with peppers and onions, Frontera red or green chili enchilada sauce and the option between flour or corn tortillas. Guests can sprinkle on their choice of six types of shredded cheeses and complete their meal with refried black, refried red, Cuban black or chipotle red beans. Enjoy the sweet and crisp flavors of The Fresh Market’s cinnamon crispies as a dessert! We have a Fresh Market nearby, but I've never been to it. Some of these meals sound delicious. I think I'll be stopping in to check them out.